Having a well toned body is the first thing that strikes us when we hear the word ‘gym’. The picture that comes to our mind is that of having 6 or 8-pack abs, pectoral muscles, pumped up arms and a 36-inch chest. Not to burst the bubble but gymming is not only about increasing muscle definition by toning them. People generally confuse workout with increasing muscularity, but that’s not always true. There are hundreds of methods through which one can achieve a fit body but working out provides a physique that no other physical activity does. The primary reason why people opt for gyms is that they want a toned sculpted body. The word toned is derived from Greek word tonos which means tension. Toning doesn’t only mean having a chiseled body. It also involves reducing excess fat present in the body through exercise and a well-maintained regime. Reducing excess body fat is the key to achieve a well toned body. Doing weight training and improving metabolism helps you achieve that. Need a well toned body? If you wish to have a well toned body then you must work towards losing excess weight and growing your muscles, not the other way round. Reducing muscles won’t get you the physique you dream of having. In order to achieve Hrithik Roshan’s or John Abraham’s physique you must follow a strict workout schedule that your trainer carves out for you. Training schedule involves regular workouts accompanied with nutritious diet and supplements to provide the necessary strength. Exercising is meaningless if you do not follow a proper diet. In order to re-energize yourself and prevent muscle loss you must eat properly. For instance, thighs and back are big muscles and their workouts are generally heavier than other exercises. So the days in which back or thigh exercises are scheduled you must eat well in order to compliment your training. The biggest misconception among people is that they think doing more exercising will result in quicker bodybuilding. But that’s just a myth which has contrary effects on ones body. This is achieved by proper scheduled exercising, done in the right proportion. 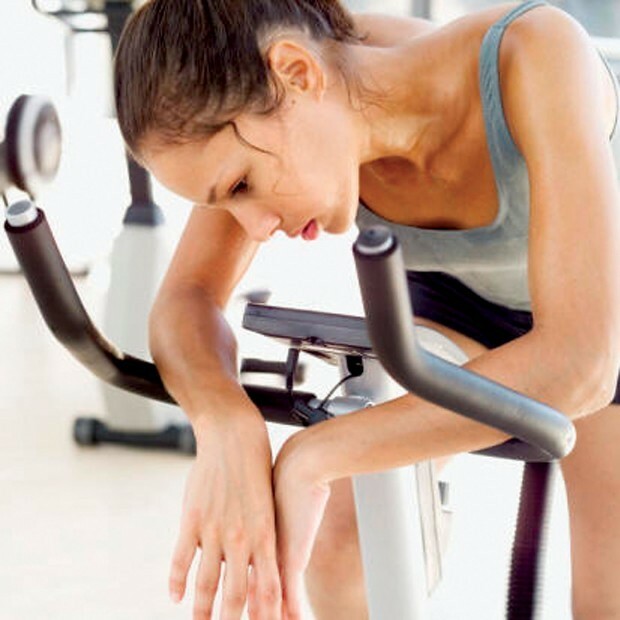 Too much exercising often leads to atrophy which can have serious muscular problems. For instance, an ideal workout involves 3 sets of 15 repetitions each of every exercise. Doing more will only have negative effects and drain your energy without benefiting your body. Another misconception that people go to gym with is to only develop one particular muscle part of their body. Our body comprises of various muscles that work together as a system. For example, bench press is an exercise for chest muscles. But it also stimulates other muscles like triceps, shoulders, wings etc. Similarly, crunches are for abs, that is, midsection but they also stimulate other muscles. To build a well toned body, workout regularly as per your schedule. Eat adequate diet that is full of essential nutrients. Do not over exert. Focus on losing weight and growing muscles. Also Read : What Training Until Failure Actually Means ?